Welcome to a brand-new way of thinking about branding. The Physics of Brand is an exploration of how brands evolve in time and space. Drawing on experience working with companies such as Patagonia, General Mills, Target, and more, this book provides an exciting new systems approach to branding. By focusing on how brands and people actually interrelate, you'll gain a new perspective on brand growth and interaction. Complete with case studies to illustrate these concepts and Thought Experiments to get you thinking conceptually, The Physics of Brand is your new textbook on brand theory. "This should be your handbook for modern branding. The Physics of Brand is what most marketing books aren't--fun to read right from the first page, engaging and generous in its trove of brand knowledge, and up-to-this-minute current with how the marketplace works today." "The Physics of Brand is brilliant. It's about the five senses, memories, and our experience of offerings. It's about time, space, and moments that matter. And most fundamentally, it's about branding, and within its pages you will find profound insights into your own brand." "Blending a rigorous, near-scientific approach together with a sophisticated, humanistic focus on people's minds, souls, and behaviors, this book offers a comprehensive compendium of all the variables to consider for building valuable, memorable, and sustainable brands." "Beautifully written, incredibly designed. This is a book that makes you look at the topic of branding with fresh eyes." "The Physics of Brand gives equal time to the risks and opportunities of developing new brands--and the massive forces at play when managing and pivoting an existing brand platform. Big kudos to this team in their thoughtful, highly creative effort to bring humanity to the data and science of brand." "Making moments, accelerating velocity, building trust and creating value . . . The Physics of Brand mashes classic marketing and modern reality with thought experiments to provoke experienced and aspiring marketers alike." "Finally, a branding tome for the Donald Trump haters of the world: Truthful and lushly illustrated with a thread of rye humor. Best read at lunchtime when you are most awake and ready to intake sensible business nourishment." "By emphasizing the importance of human experience and human memory as being at the center of the brand, the authors rightfully take their place as the natural successors to Aaker and Biel." "As we transition from the ‘industrial economy' into the ‘digital economy,' brand relevance is critical. Every brand is under new pressure to engage authentically with the next generation. The Physics of Brand is a playbook for every brand manager on this journey." "The Physics of Brand brings fresh thinking to the pace of change and complexity in today's marketing environment. Jammed with insights and case studies on design and customer experience that will juice your brand." "A wonderful balance of social sciences and hard sciences to provide a creative, thought-provoking, and powerful perspective to branding. It's Stephen Hawking meets Jane Goodall on branding. An engaging journey through the science and humanity of branding, from physics to ethnography." "Technology is rapidly changing the way consumers make purchases. The traditional processes for developing brand awareness are becoming obsolete. The authors of The Physics of Brand have developed processes for brand development in today's marketplace that are based on the physical sciences but include a touch of art. These processes should lead to overall value creation for the brand as well as the entire firm." "Like a chef's tasting menu, this cleverly prepared feast encourages readers to sample a new way to think about brands and branding. I loved every bite!" "For marketing and communication professionals looking to demystify the alchemy of branding--and to understand the marketing science behind what it takes to create a strong brand reputation--this is a great read." "Effective marketing isn't about target markets, media buys, or even the latest technologies. It's about nurturing real relationships with real people through intentionally designed moments and the consistent delivery of promises. The Physics of Brand is a powerful tool for anyone charged with cultivating a company's most valuable asset, its brand." "This deep dive into branding is the modern equivalent of Ogilvy on Advertising--a fascinating look at how organizations influence people in using the most effective tools of the era." "The Physics of Brand introduces the reader to a new level of thinking about brand; marketers, designers, entrepreneurs, and corporate CEOs take note. In order to create successful brands in the future, you need to intimately understand how brands and people move through time and space. This New Age of Branding requires an elegant approach that finesses the art and science of building a brand." "What do you get when you combine a scientific approach to branding with high creativity? A new approach to branding for the digital era. This book will help any marketing practitioner with a hands-on model make their brand the best it can be. Jacob's Ladder provides excellent guidance." 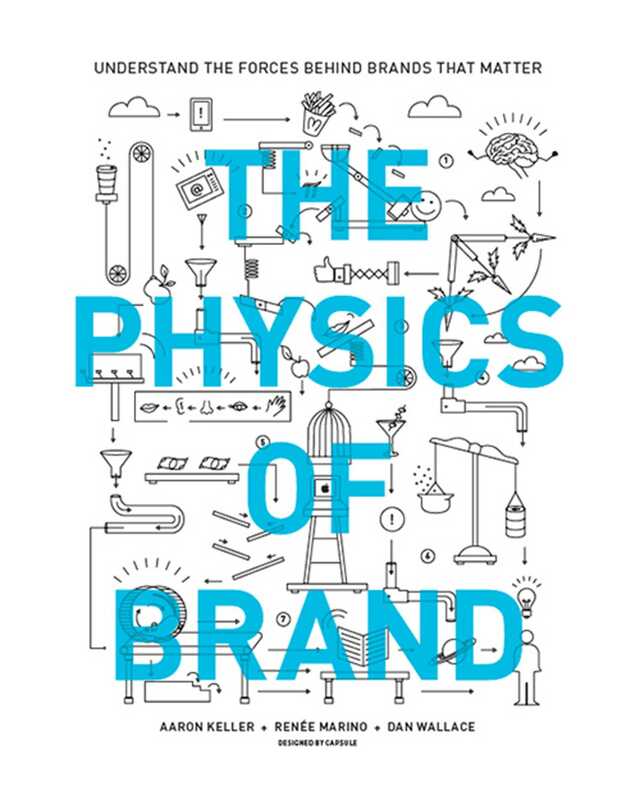 "The Physics of Brand is a refreshing new look at how brands build value across space and time. The book is a bold thought experiment that moves branding from art toward science." "Loved it! The art and science--or physics and feeling--creates a true difference in connecting to the hearts and minds of consumers. The Physics of Brand provides a compelling framework to think about creating enduring and iconic brands that can withstand the test of time."